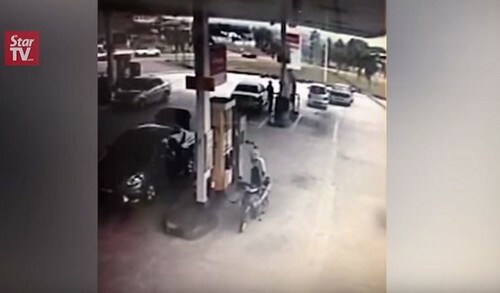 KLUANG - A 70-year-old retiree suffered serious injuries after being run over by a car while refuelling at a petrol station in Jalan Besar here. 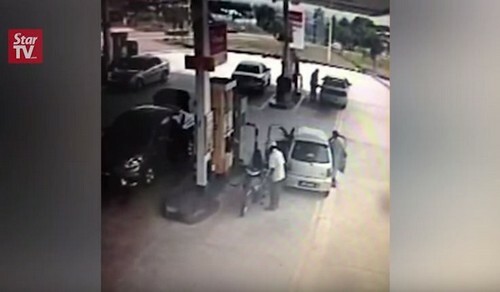 Kluang OCPD Asst Comm Mohamad Laham said the incident happened at around 12pm on Sunday. 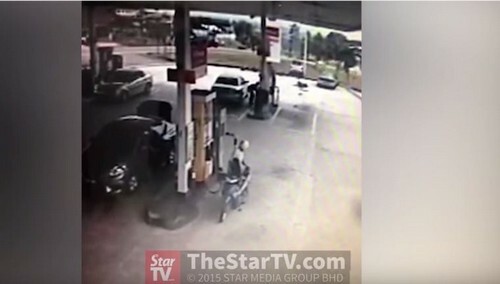 The victim, Mohamad Nasir Manas, was hit by the car driven by a 42-year-old woman. 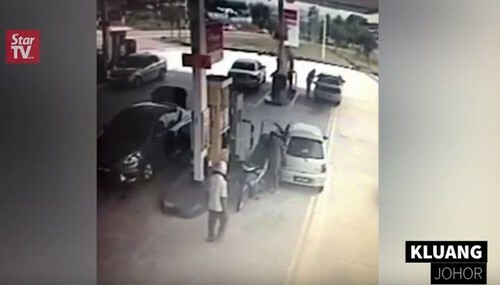 A 70-year-old retiree suffered serious injuries after being run over by a car while refuelling at a petrol station in Jalan Besar here. 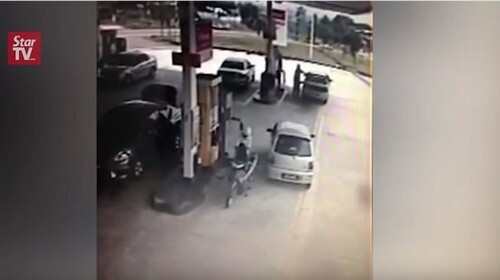 "Initial investigations showed that the incident happened when the driver lost control of her Perodua Kancil after her slippers got stuck on her car's accelerator pedal. 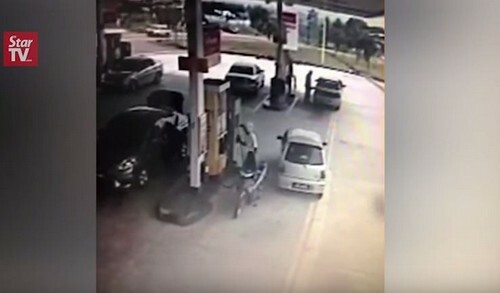 "Mohamad Nasir suffered severely fractured his hips among other injuries, and was sent to Kluang Hospital for treatment," he said when contacted. 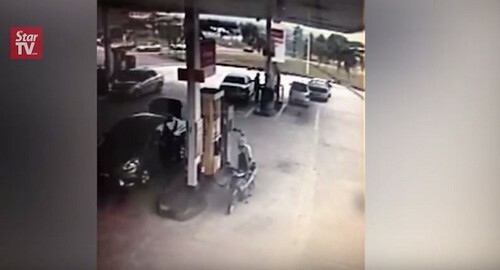 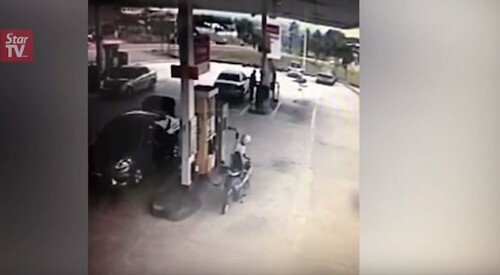 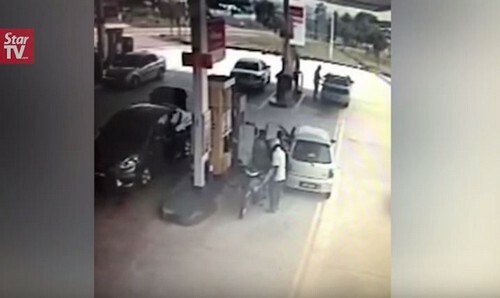 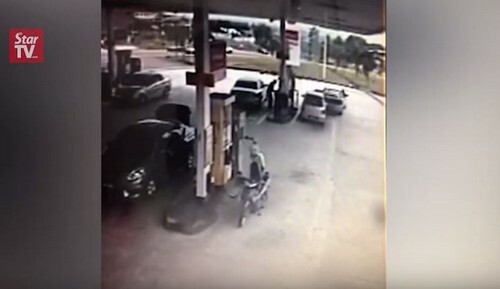 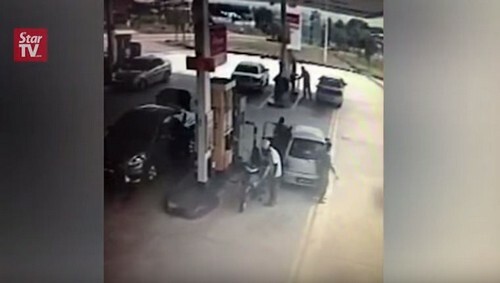 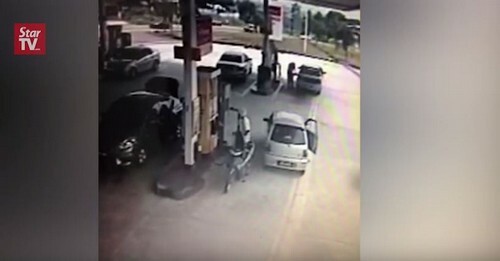 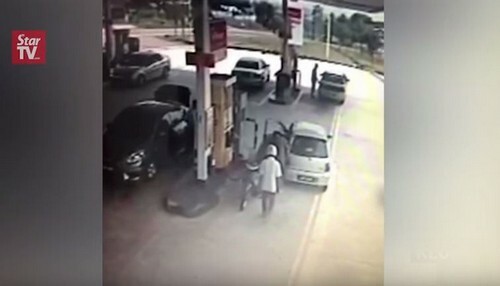 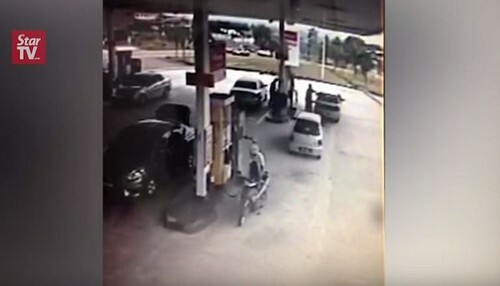 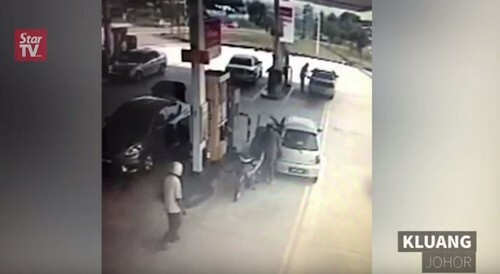 Footage of the incident caught on the petrol station's closed circuit television and has since gone viral on social media.